Todd Kelley shares his natural history knowledge with a walking group. Photo courtesy of Frank Romaglia. Saturday, Oct. 6th, 8:00-9:30 a.m. 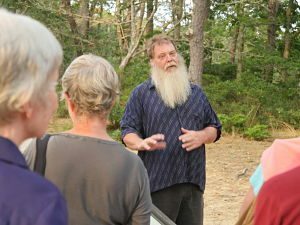 Sponsored by Harwich Conservation Trust (HCT), join walk leader & 12th generation Cape Codder Todd Kelley to explore the Town Bell’s Neck Conservation Lands. 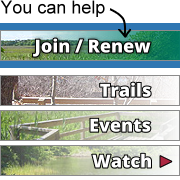 Learn about the area’s natural history and Native American history. Pause at the site where the original “Piano in the Woods” was found. This guided walk is free and now FULL since space is limited.